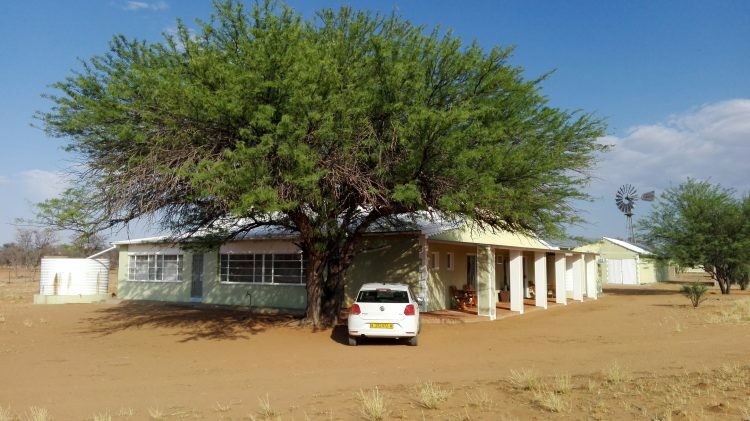 Farm Pokweni lies about 140km southeast of Windhoek. It is a third generation family farm that is also a typical working farm with many sheep and game. Pokweni is rich in wildlife. Guinea-fowl and Ground squirrels frequent the homestead. Oryx, Springbuck, Ostriches and many more small animals are roaming the dunes. We offer 17 double rooms, a tennis court and a swimming pool. 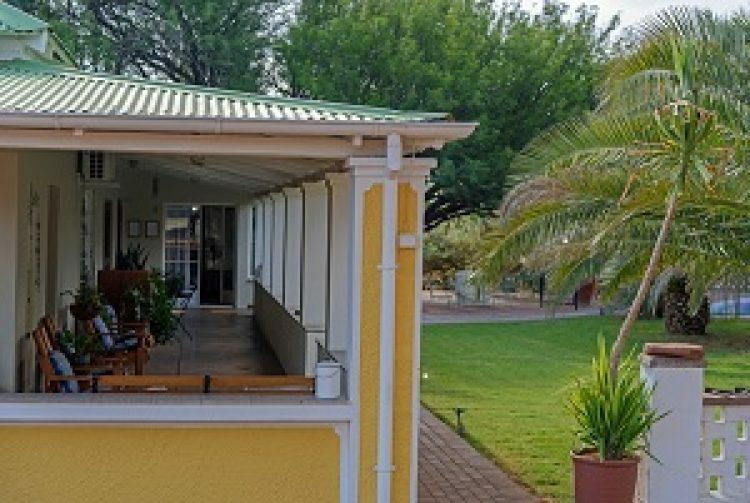 All 17 Double rooms, each with en-suite bathroom is equipped with super silent air-conditioning, fan, insect screen door, fridge, kettle, coffee and tea making facilities and a private furnished terrace. The rooms are cleaned daily and regularly supplied with fresh linen and towels. Laundry can be washed at the farmhouse at a small fee. If you prefer even quieter surroundings, we offer the option of two fully equipped and spacious rooms on the neighboring farm. Hennie's Farm forms a triangle with the airfield and Pokweni Farmstead. Approximately 4km apart. 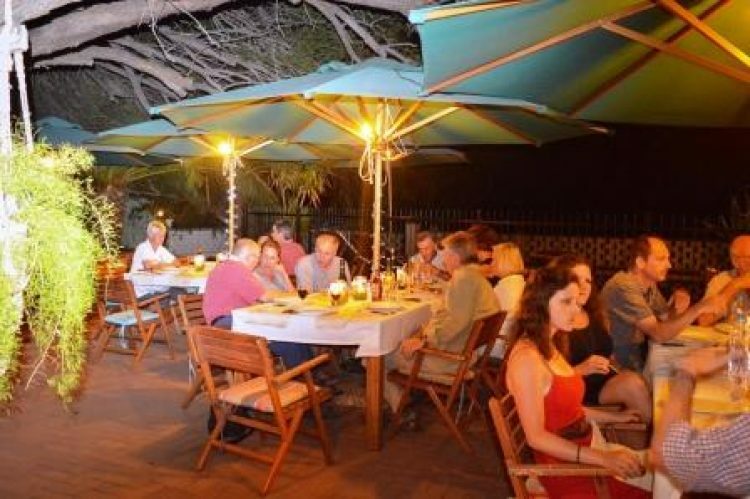 Our food is a big attraction on Pokweni. Annalie is a brilliant cook and the Afrikaans expression from satisfied guests is often heard: “Dis baie lekker”. Breakfast is a full spread offering cereals, bacon and eggs, fresh fruits, cold meat, cheese and more. Of course provisions for long flights are also supplied. 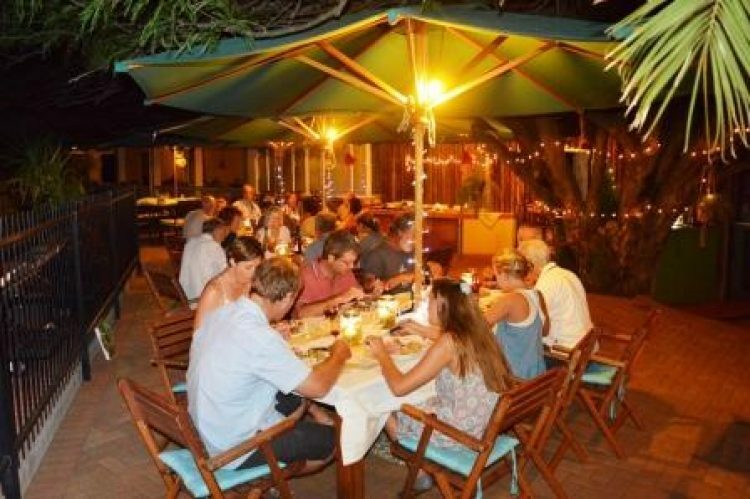 A delicious dinner with countless variations of meat (produced on the farm), fine salads, various side dishes and dessert is served in the evening. Tea and coffee is free and other beverages can be obtained at reasonable prices. Fine South-African red and white wines are on offer. In particular the typical Namibian beer is very refreshing after a long flight and great care is taken to serve this perfectly chilled. There are Christmas and New Year's Eve special festival dishes too. Christmas Eve usually has a turkey on the menu. New Year's Eve, Jos and Wolfgang prepare roast sheep during the day to be served in the evening. An evening walk on the dune is a regular feature and delight. First, there are the above-mentioned Annalie – who primarily oversees the housekeeping and the preparation of food. She also concerns herself with your well-being and ensures that your stay is comfortable. Jos is responsible for all things technical; water, electricity, vehicles and so forth. He also arranges with Annalie all necessities needed on the guestfarm. Somewhere in between, he sees to it that his farm and farm animals are taken care of. 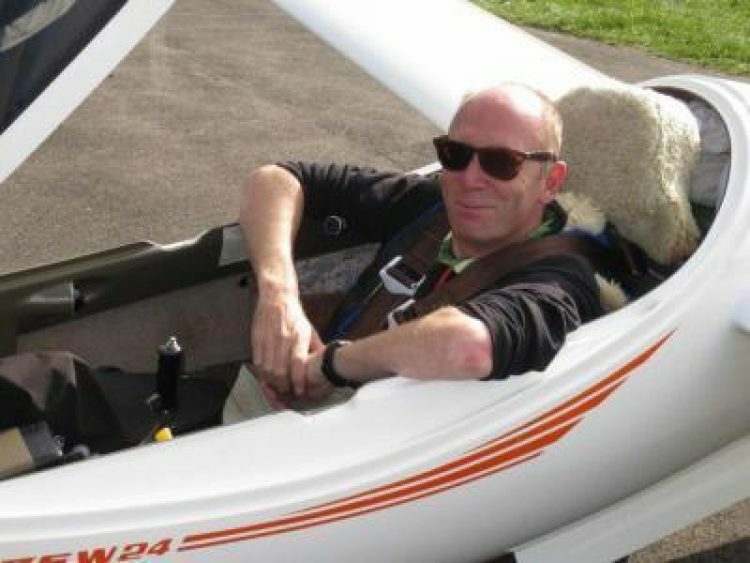 Jos is also a keen glider pilot. Then there are the two girls, Amelia and Helena. They attend boardingschool in Windhoek during the week, but love to lend a helping hand over the weekends. Let’s not forget Matie who shows up wherever there might be something interesting or edible. His two cat friends also give the added homely touch. Axel is responsible for flight operations. Every morning at seven he starts with the preparation of the weather report. After breakfast he holds the briefing. Wolfgang offers help with oxygen and fuel. Axel and Wolfgang brings the aircraft to the start, and afterwards joins in the flying. In the evenings they are on the radio, waiting until the last aircraft has landed safely. Wolfgang is mainly responsible for technical problems at the airfield, and is very popular in the evenings when he reaches for his guitar and invites you to sing along. Uploading OLC flights are also taken care of in the evening. Axel takes care of the containers. Loading and unloading is his responsibility. Katharina helps to prepare the weatherforecast and many other things, when she is at Pokweni. She also works at the Pokweni website. Pokweni has 11 friendly hard-working employees who we could not do without. They are the silent ones in the background always seeing to it that the important work is done. They live on the farm in their own homes, a short walking distance from the main homestead. arrangements for your visit to Pokweni. His contact details can be found under the section “Contact Us”.